It is not your typical cleanser, because it has lots of ingredients that will keep your skin nourished. It contained Mint leaf extract that cools down the skin and soothes irritations. Jojoba seed oil that deeply moisturizes any dryness without feeling heavy and tea tree leaf extract has antibacterial properties that purify the skin. 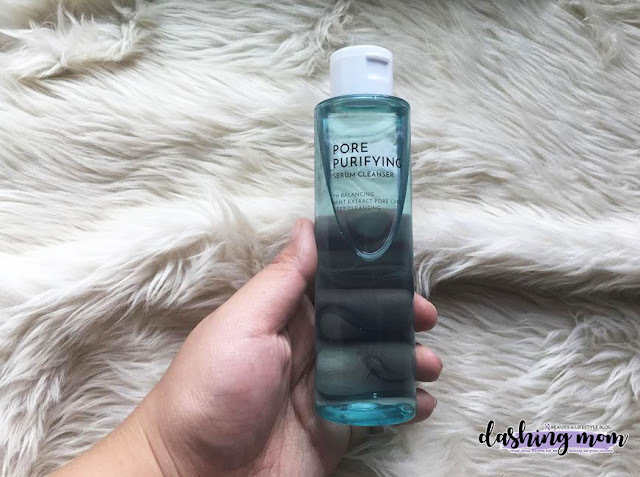 I used this Pore Purifying Serum Cleanser contain 150mL for 430php. I've been using this for a week now and my skin condition is getting better. I will post an update for this one on another blog.